Late-night talks failed to break the deadlock over a landmark EU-Canada trade deal, as Belgium's Wallonia region reiterated its objections. The 28 EU leaders will discuss the draft Ceta deal shortly in Brussels. All of them, including Belgium's national government, back it. But Wallonia says Ceta is a threat to farmers and welfare standards. That is blocking the signing of Ceta, which has put the EU's credibility at stake in trade negotiations. Walloon PM Paul Magnette is to hold further talks with Canada's International Trade Minister Chrystia Freeland on Friday, Belgian RTBF News reports. Mr Magnette said: "We sense a willingness among our Canadian friends to make more concessions." There are doubts about a planned signing ceremony on 27 October. The European Commission, in charge of the EU's negotiations, has refused to unpick the text which was agreed with Canada in 2014. 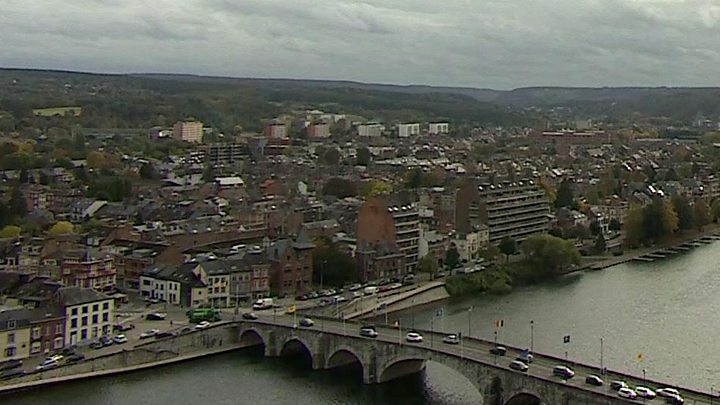 Some EU leaders, including European Council President Donald Tusk, have voiced frustration that French-speaking Wallonia, with a population of just 3.6m, is delaying a deal that took seven years to negotiate. There is much international interest in Ceta, the EU's most ambitious trade deal to date. Some UK politicians see it as a potential model for a Brexit deal with the EU. But Wallonia has echoed the fears of anti-globalisation activists who say Ceta and deals like it give too much power to multinational companies - power even to intimidate governments. Meanwhile, the EU Council Summit is continuing in Brussels - but an EU official close to the talks said the summit was happening "very much in the shadow of Ceta". EU leaders could only "facilitate" but not participate directly in Wallonia's discussions, he said. In their talks on Friday the leaders are seeking to strike the right balance between free trade and preventing unfair competition. A row about the scale of imported Chinese steel in the EU has heightened their concerns. European steel producers accuse China of unfair practices. The European Commission, which steers trade policy, says the EU needs to tighten its anti-dumping rules. But the UK is part of a blocking minority opposed to the Commission's reform plan. The UK says tariffs must not be "disproportionate". The Commission has urged the leaders to adopt its 2013 reform of "trade defence instruments" to allow higher tariffs to be imposed. The European Parliament also says the EU needs "a modernised set of rules on par with other world powers" to make fair trade work. Would CETA be good model for UK?